My collection of Japanese + and x blocks has increased. I received this lovely collection in the mail from a Flickr swap. I now have a nice round number of 60 blocks. Danny says she has a few for me and maybe one more swap or two and I will have the 100 or so blocks I need to make a great big quilt. Those are wonderful, your quilt is going to be great. 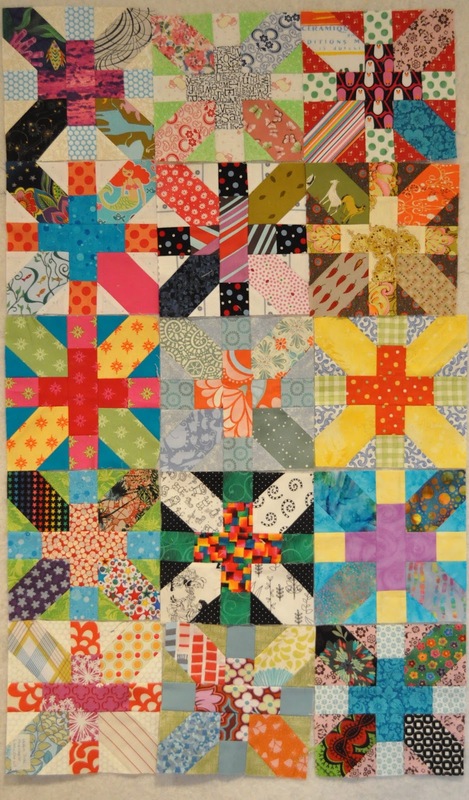 Love how you have combined all these bees to give you enough blocks to make this quilt. Woohoo, that's going to look fab when it's all done! Can't wait to see this one done! It's going to look amazing!! 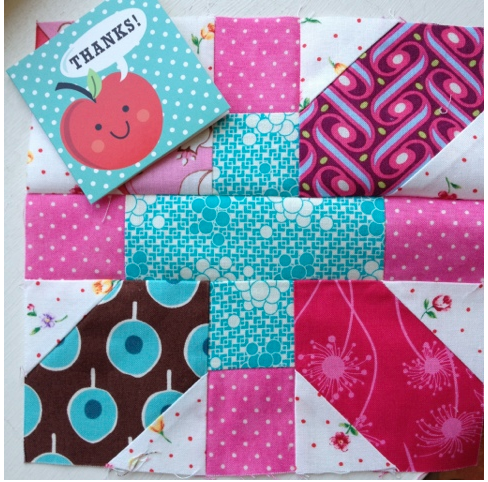 Your quilt is going o look great! Looks great! 100 blocks, nice big scrappy quilt! I do!! I have a few pieces cut for some more, so I thought I would slap those together to send along with the others! Do I see these in the future of a certain Modern Stitching Bee? This quilt is going to be amazing. Oh wow your + and x blocks are looking fantastic! You have some very pretty blocks there. Love so many of the fabrics. You are inspiring me! I have been making these blocks too, sort of here and there when I have a moment between other things. I think I have about 30 or so. I can't wait to see how your quilt turns out ( and it still makes me smile that you have at least one of my blocks for your quilt from the first round of swaps). your blocks look great! i spot some of mine in the mix from the Flickr swap! :) will be an awesome quilt.